4-Acetoxy-MET, also known as 4-Acetoxy-N-methyl-N-ethyltryptamine, metacetin or 4-AcO-MET is in a class of compounds called tryptamines. 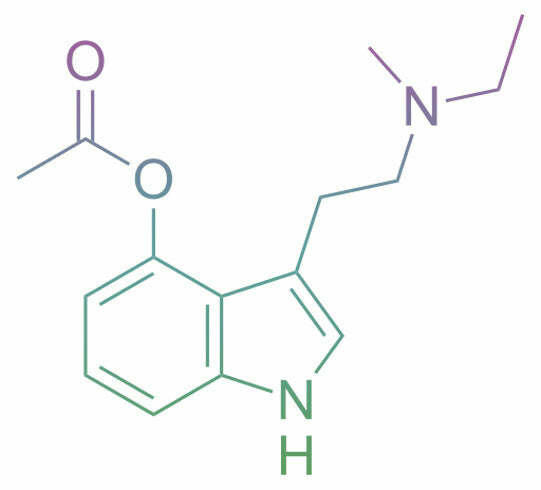 This research chemical has been known to have similar effects to 4-AcO-DMT, LSD, and DMT. To be more specific, it has a closer profile to the tryptamine psilocin which happens to be psychoactive chemical in magic mushrooms. This research chemical is purchased for analysis through online vendors (such as Causing Color) and is considered an unscheduled substance in the USA. Before purchasing this substance it is vitally important to know the legality of it in your home country so that you can evade any trouble with the law. Also, this compound is not for human consumption and is strictly for forensic and research purposes. One should handle this chemical with extreme care and wear gloves while handling the material. For storage purposes, one should also keep it out of direct sunlight and keep it enclosed in a cool, dark, and dry place. In other words, you can buy 4 aco met here. Despite our warnings, there will always be those who choose to consume research chemicals anyways out of novelty. Tolerance to 4 aco met is shown to go up immediately after inital exposure. It generally takes about 2 weeks to a month for tolerance to completely reset. The only thing I can think of that might be a disadvantage with this is how the onset is almost TOO steep. Maybe preparing it in solution might be the best way to go, since it hits so quickly. Probably would help taper the offset/comedown too." So I placed my order two months ago and still have not recieved the package. Support says they have shipped it but the tracking number says it has not been shipped yet. Great Products that you can trust!!!! Great customer service as always. This is my 5th time buying from them and they have exceeded my expactations everytime. You can really feel a differnce with these research chemical. One of the best spot to buy online.